Thread: Carbon bar on your rigid SS? Have you guys used a carbon bar on your single speed? Were you afraid of it cracking. All I've ever run on my SS's has been Carbon. Both of the SS's bikes have had Easton Monekeylite Risers.....why would you assume they'd break? I have a hard time believing I could create enough leverage with the side to side motion on the SS. Of course if you cash......all bets are off. I've run a carbon flat bar on one of my SS's for about 2 years now, no breaks, more than several good falls, and probably the best "feel" of any of my bikes. I too was cautious about using carbon fiber, but am now sold on it. Just need more money to swap out the rest. Sweet! I'm probably going to get the Easton Monkeylite SL. Do you think it's to light? Or should I just go with the XC? I know I'm counting grams. What kind of grips do you have? Are they Ourys? I'm assuming lock on grips are okay on carbon bars. I am running carbon bars on both my trek hardtail, and also turner, and I love carbon for the looks, weight, and also the dampening qualities. I plain on getting a carbon bar for my ss eventually. Also to metion, I have had some pretty spectacular crashes on both those bikes and the bars were fine. running low rise Monkeylites on my rigid Niner ss with no issues. I have been running Monkeylites on all of my rides for the past six years. One set was on my Turner and ridden hard for four years without a single problem. i ran easton carbon bars on my rigid surly for over a year with no issures. i now have easton flat bars on my rigid 29'er and again, not any problems. i had carbon bars on 3 different bikes, 2 mtb's and 1 road at one time. the carbon bars on the mtb's, over a couple years, had many abrupt meetings with trees and the ground and the bars kept on shining. the carbon bars on the road machine have hit the earth only 2 times, but very hard, over about 5 thousand miles and again, no issues. i HAD a pair of carbon bars on my SS, until they broke. i walked away, but it could have been really, really ugly. the scary thing about carbon is that when it fails, it fails suddenly and catastophically. metal bends, rather than leaving you on the ground holding the left side of you handlebars with no bike attached. Yeah, if carbon bars break, it will be instant. Then again, I snapped some aluminum bars. That was pretty instant. Mine could also have been ugly but wasn't, thankfully. Just think of it this way: any part on your bike, including a carbon bar, could fail catastrophically at any moment, but the bar isn't any more likely to fail then anything else. 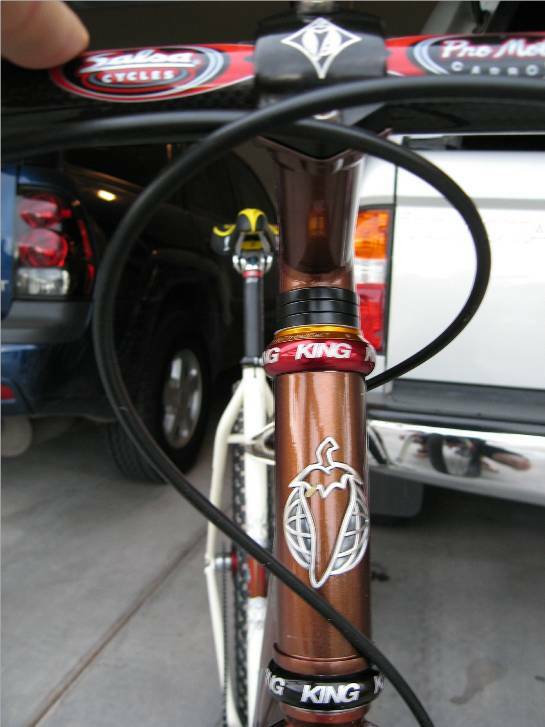 I just swapped the fork on my Salsa for a rigid Cro-moto fork, so now I am running a carbon bar on a rigid Singlespeed. I liked it. It seemed to provide a little extra damping. But it was probably just my imagination. I used to be a little more weight conscious, so I've been using carbon bars for about 6 years, and haven't had a problem. I'm completely sold on Eastons DH carbon Monkey bar. Super solid, and great width for SS use at 28". It's pretty pricey though and offers zero compliance. I'm not sure about xc weight carbon bars on a rigid though. I've done it but it always worried me. 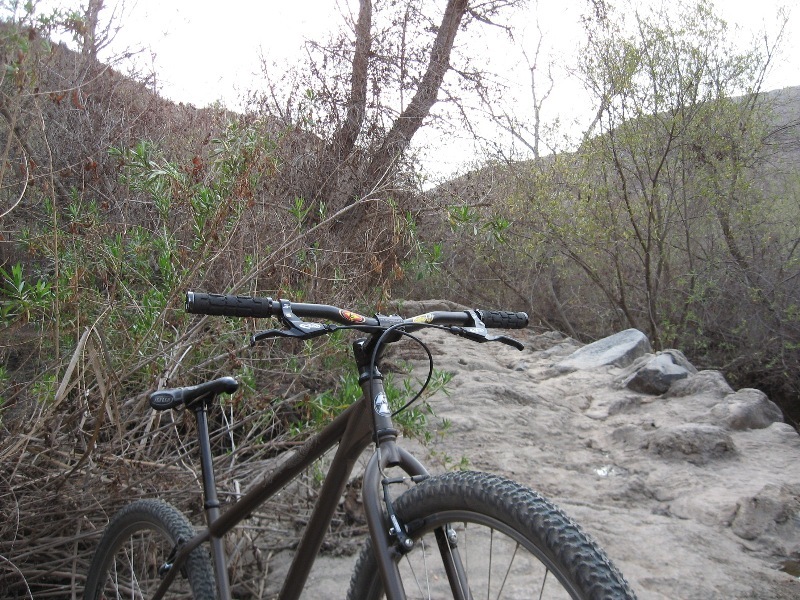 As for xc aluminum bars, I found they flexed a lot which was very noticeable on a rigid. It did offer some compliance but almost to the point of where I thought I'd rip it in two on tough climbs. I put carbon bars on my ss full rigid and could never get over the fear of them breaking. I could feel them flexing all the time. I went back to aluminum and now I can't get over the pain in my elbows. So it is back to the carbon bars for me. They are downhill carbon bars with the large diameter clamp area. It is worth the risk for me. Hopefully I will still be saying that a year from now.